Wow! 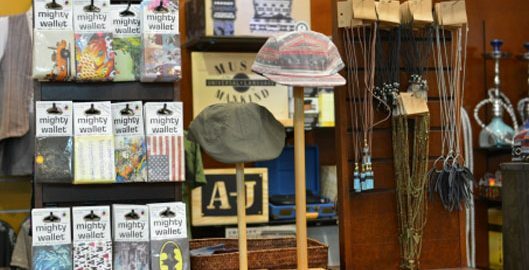 How excited am I that my best selling Dynomighty Mighty Wallet “Koi” is now being sold in Earthbound Trading Company‘s retail stores! Much thanks to Dynomighty and Earthbound for this opportunity – if you happen to go to one of their stores, send me a pic if you find my wallet! As per Dynomighty: Artist Collective Roll Call Mighty Wallets are sold in stores across the globe. But what happens to the designs that aren’t selected? Thanks to great partnerships with retailers such as Earthbound Trading Company, our Artist Collective Artists are able to gain a whole new level of exposure and make even more $$$ in commissions. That’s just one way we help artists Be Mighty!